One of the best things about the creative industry is the lack of age discrimination. Time and time again, we have often found extremely young men and women with talent become a star through their gifts, unlike most professions where a chance at a career doesn’t begin till one reaches a certain age. One young talent who has become the latest beneficiary of this is Sky Katz. At a young age, Katz has become quite the music and acting star. She is a music composer and writer who has achieved what several adults haven’t been able to manage, overcoming their fear of public expression by appearing as a performer on the popular television show, America’s Got Talent, a feat that has endeared her to a global community of entertainment fans. On the 12th of December 2004, Sky Katz was born to her parents. One doubts if her parents ever expected that they would have a child that would become a star, particularly very early into her life but that has been the story of the Katz family. As for her rapid rise to fame, her parents can take some credit for the interest and passion that has made her one of the rising names in Hollywood. As someone who has an admirable passion and interest in rap music, she developed the interest via her parents who are great fans of the music genre and would often play the music of great rappers like Biggie and Tupac in the family home. However, as expected of a child growing up in the 2000s, her interest in rap music tended to modern rappers and one of them was Nicki Minaj whom she credits as an inspiration. All through her developmental phase, Sky Katz continued to explore who she was as a person. Before she landed finally on music, she took some interest in basketball and played competitively for her school. After deciding to give music a push, she decided to take the passion to the national stage by auditioning for America’s Got Talent. Her audition was deemed good enough for the show and at the age of 11, she made her appearance on a national program for the first time. Her performance of songs like Fresh took her far into the show before she lost out in the quarterfinal stage. She, however, had established a degree of popularity that had caught the attention of several media houses at the time. Taking advantage of this, she created her YouTube channel which has since recorded total video views in millions. Her budding music career has also spilled from the digital world into the real world where she has been performing in several venues around New York. Sky Katz further announced she was working on an album in 2016. Since she became a staple of the Hollywood machine, she has also found some success as an actress. She made her acting debut in a short project for Disney in 2017 and has been appearing as Tess O’Malley in Raven’s Home. Until science figures out a way to produce human beings through artificial methods, we still rely on the consummation between two consenting adults to produce whizkids. For Sky Katz, we have Mike and Fran Katz to thank. The New York-born budding music star was born to Mike Katz who is a doctor and her mother, Fran Katz, a homemaker. Sky Katz was raised along with three other siblings and at the moment, she is the more famous of the four Katz children, at least for now. Sky Katz is still growing artistically and physically and just like her career as a music artist, she has seen a rapid rise in her physical growth. 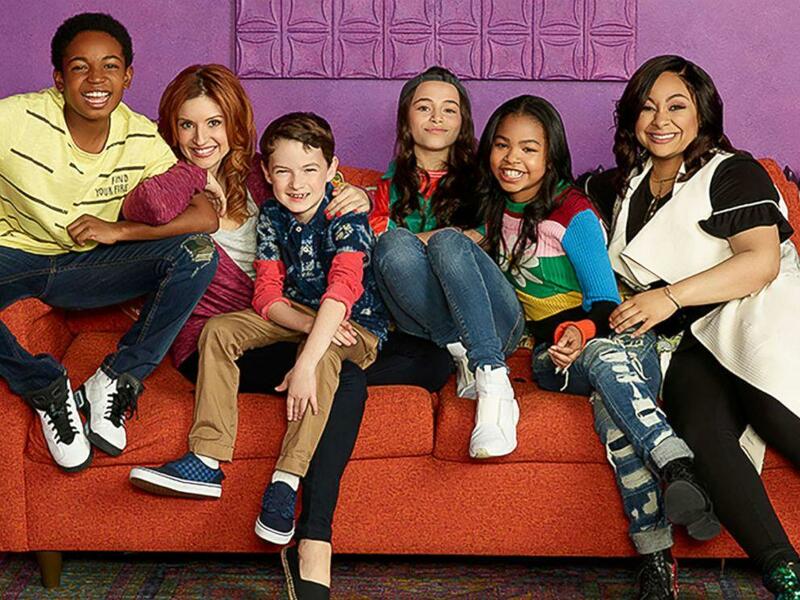 The Raven’s Home star has already reached a height of 5 feet with a body weight of 45 kg. Her other body measurements are said to be bust – 30 inches, waist size – 23 inches and hip size – 23 inches. Considering the difficulties child stars face in Hollywood, here is to hoping Sky Katz maintains a healthy life. Other notable features about the child star include dark brown eyes and hair. 1. She is a member of the American Society of Composers, Authors and Publishers. 2. She is currently signed to Wal Disney Records. 3. Her siblings are named Hailey Katz, Madison Katz, and Dylan Katz.